In general, programming on television in Croatia is rather average. However, the high number of foreign shows (which are often quite decent or sometimes even cult classics) makes up for this, usually meaning that there’s something decent to watch. Otherwise,there’s plenty of rather tacky entertainment shows (that tend to be popular in this part of southern Europe) and plenty of sports programming too! Unfortunately, reality TV is also big business in the country – don’t be surprised to find Croatian versions of Big Brother, Pop Idol or Strictly Come Dancing/Dancing With The Stars when tuning in. Soap operas from Latin American countries (i.e.telenovelas) and from Turkey also tend to be very popular. 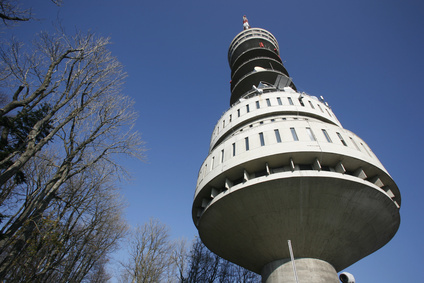 The main television channels in Croatia include the state owned HRT channels, HRT 1 and HRT 2 (which are 24-hour channels based on a mix of entertainment, drama, sports, news and more), HRT 3 (documentary-based) and HRT 4 (news-based). There is also Nova TV (general programming) and Doma TV (mix of soap operas, entertainment and reality shows), plus RTL 1 & 2 (general programming). A number of local television stations also operate throughout the country. You will find a wealth of American and British programming on all of these TV channels – programmes are normally shown with Croatian subtitles rather than Croatian dubbed over the proper audio. You will still be able to catch your favourite show from back home and be able to understand it – without having to endure any comedically dubbed voices. The only exception to this rule is kids’ shows which are, understandably, dubbed. If you’re staying in a hotel, you will find that most provide at least the basic satellite channels – CNN, BBC World and similar. In fact, many private accommodation places do also provide satellite television where you’re likely to encounter these channels, as well as a number of German, Austrian and Italian ones (for guests of those nationalities).